…in support of The Ben Roethlisberger Foundation this summer! Ben will be hosting his Third Annual Ben Roethlisberger Foundation Fundraiser on June 22nd, at Jergel’s Rhythm Grille in Warrendale, PA. This incredible evening will feature a strolling dinner, a live and silent auction, and the music of NightSong, which will have you dancing in no time! You can see more great photos from last year’s event here. 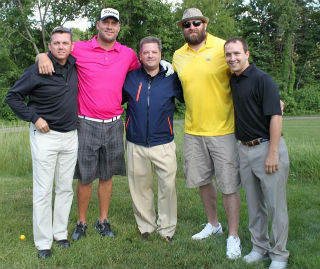 You can join Ben once again, but this time on the golf course at the beautiful Treesdale Golf and Country Club in Gibsonia, PA on June 23rd for the Third Annual Ben Roethlisberger Foundation Invitational! 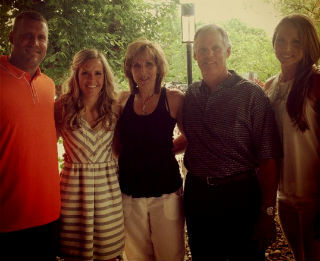 “I would like to extend my extreme gratitude to the Ben Roethlisberger Foundation for its generosity and support. The foundation’s assistance will provide an integral role in the development of our newly started canine program. The North Fayette Township Police Department canine program relies greatly on contributions like this in order to maintain the high standards required to make the program successful. We are confident that our canine program will serve our community well.” – Mark O’Donnell, Chief of Police, North Fayette Township. The tournament was a huge success last year – 118 golfers, including teammate and friend Brett Keisel, Mr. Art Rooney II, Steelers Great Franco Harris, Penguins Great Mario Lemieux, and former Steeler and current ESPN NFL analyst Merril Hoge, joined Ben on the course for a full day of golf and games to benefit his Foundation. And benefit it they did! The event raised over $100,000 for both of Ben’s Foundation causes: the Make-A-Wish Foundation of Greater Pennsylvania and Southern West Virginia as well as K-9 Police and Fire Units across the country. Pre-tournament competitions, which included games such as the Quarterback Challenge, Football Drive, Hat Trick, Three Point Shootout, Roulette Golf, Blackjack, a $5,000 Putt Challenge, and a $1 million dollar Shootout (165 yard shot) got the day started. During the tournament golfers had the opportunity to try their hand at other competitions along the course, including Poker & Roulette Golf, a Men’s and Women’s Long Drive, the Straight Drive, and a TPC Sawgrass “Island Green” hole on the 17th. Golfers enjoyed both a lunch buffet served on the patio before heading out on the course, and a delicious dinner in the clubhouse after the tournament featuring several buffet stations. On the course, the golfers were treated to made-to-order Primanti Bros sandwiches from a specially prepared golf dining cart! *Thank you to Jessica Duffaut at the Giving Back Fund, Justin Aquilante at ProServ Events, Sheila Weiner & Cortney Stitt at The Event Group, Dan Jergel, and Teresa Varley, Steelers.com!